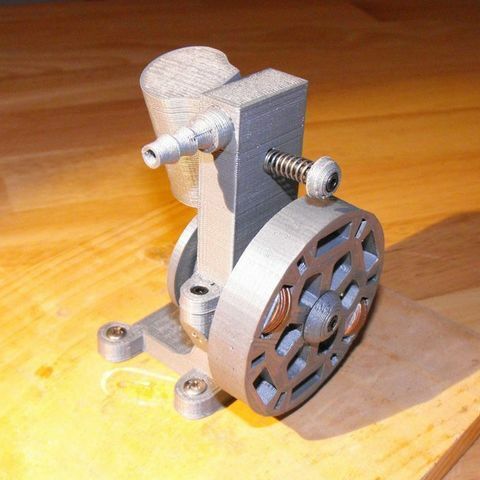 Here is a fully functional, printable, oscillating steam engine. 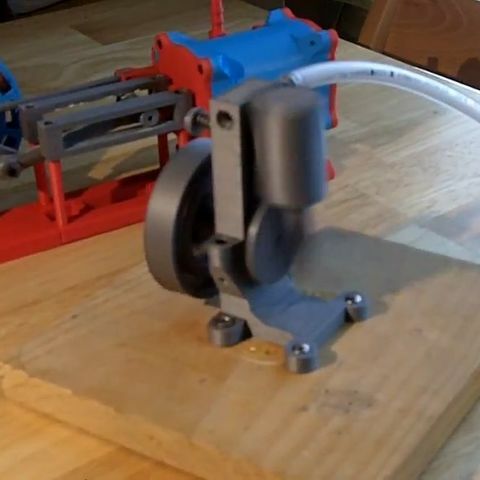 I started first building a horizontal double action steam engine (you can see it in the background of the video link below,) but while working out some bugs on that one, I decided to knock this one out quickly and post it first. I will call this engine the Mark I, just in case I build an enhanced model down the line. There is an included instruction sheet. 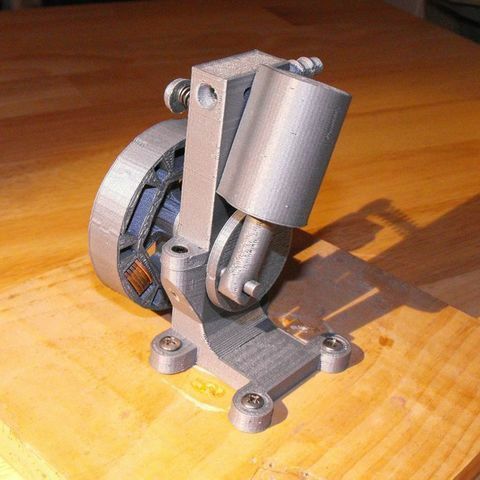 Follow that and it should answer most questions about assembly and extra hardware needed. If anything is unclear, please feel free to post a comment or message me, and I will answer your questions.